July 28,2018- The world is witnessing Blood Moon or total lunar eclipse, the longest of the 21st Century. The rare celestial event can be seen in its entirety from all parts of India. 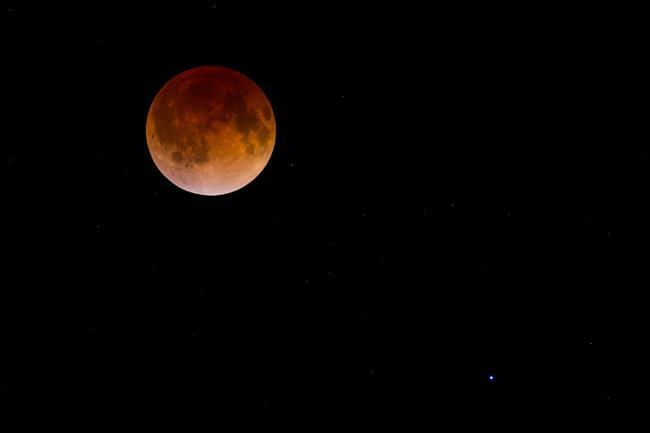 The century’s longest total lunar eclipse, which began on July 27, will last till the early hours of July 28. According to NASA, the total lunar eclipse will last for close to one hour and 43 minutes, starting late at night and continuing till the early hours of July 28. “This total lunar eclipse is significant because it is the longest,” Director of Delhi’s Nehru Planetarium, Ratnashree, told ANI. At some point, when the moon will move into earth’s shadow, the sunlight passing through Earth’s atmosphere will turn the moon red. In Varanasi, devotees are taking a dip in the Holy Ganges at Dashashwamedh Ghat. The day is all the more special in India, as both lunar eclipse and Guru Purnima are falling on the same day. Celebrated on the full-moon day in the ‘Ashadh’ month of the Hindu calendar, Guru Purnima is a day dedicated to spiritual teachers. Since the festival is celebrated by both Hindus and Buddhists, there are no set rituals that are followed during the day. While some people observe fast to show respect to their gurus, others visit temples to offer prayers and seek blessings. People, who follow living gurus, pray for the long life of their spiritual teachers. Students, on the other hand, celebrate this festival in schools where they worship their teachers and ask for their blessings. In one such instance in Vadodara, children celebrated the festival by worshiping their parents and giving them presents. “We worshiped our parents today because our parents are our first teachers,” said a child.Ironically, according to the Hindu tradition, no religious or auspicious practice is performed at the time of the lunar eclipse. Going by this tradition, many famous temples across the country also remain closed for darshan during the period. People performing puja are instructed to do it before or after the eclipse. People following the Hindu religion are advised to take a bath before and after the lunar eclipse. They also avoid cooking or consuming food during that period.